In this continuation from part 1, we’re going to dive into how cheating relates to Free 2 Play (F2P) games. To set expectations, I do not wish to imply that purchasing things in F2P games is inherently cheating. There are even some ways that people may, generally rightly, call purchases Pay-to-Win that I would still argue are not cheating. Then there are the transactions that are subtly to blatantly and excessively cheating. I would like to say I like the idea of F2P. Unfortunately, as we’ll run into below, there are a lot of dark corners of it. I additionally run into issues with spending money on F2P games in general. Part of this might be that I don’t like what I can purchase. But fundamentally, I don’t see F2P going away anytime soon. 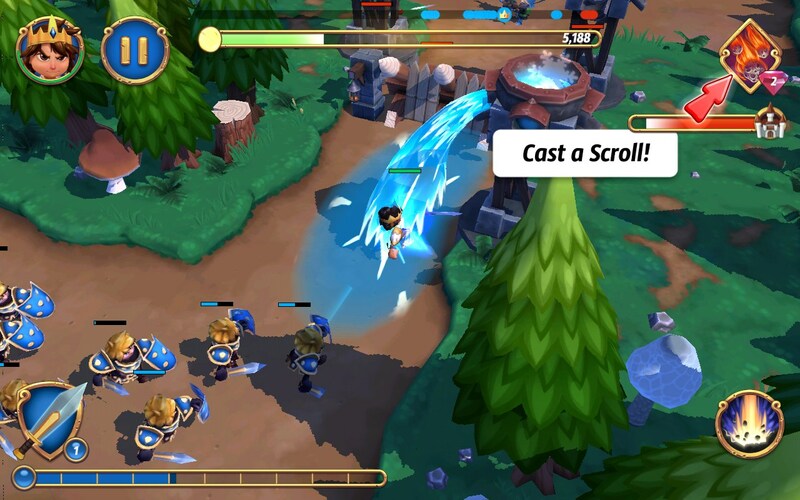 Recently, The Banner Saga devs discussed how people don’t want to pay for mobile games. As someone who loves his 3DS, has owned basically every generation of Gameboy since the original, has owned a couple PSPs, and still actively looks to add a PS Vita and NVidia Shield to his collection, I don’t share that feeling exactly. I do generally not purchase games for my phone, though, which is what the article is discussing. So F2P is the solution to the mobile market for many games so people don’t feel like they are paying initially but end up spending plenty of money in the end. And this isn’t all bad. I’ve brought up before that I happily paid for Lord of the Rings Online and DC Universe Online when they were F2P games. I was having a good experience and wanted more content or features that paying enabled. For instance, the expansion packs provided more areas to explore, story to experience, and frequently characters to play as. To me, this could possibly point more to Microsoft’s approach with Killer Instinct for Xbox One: It is a generous demo, not free to play. To me, it is a great approach to allow people to really get to enjoy your game before charging for it. To me, any developer or publisher who isn’t willing to do this doesn’t have the confidence in their game they should. Or maybe they know the game isn’t good enough which is a separate problem. An alternative I have no problem with but doesn’t appeal to me is aesthetic purchases. 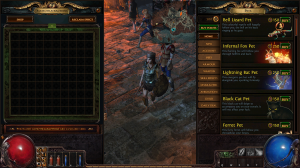 Path of Exile uses this as their entire monetization plan, and the fact they continue to run the servers and produce more content says to me that it is effective for them. I’m happy for these purchases to exist, but I can’t justify in my mind paying for something and not getting anything for it. I actually am more open to just donating money to developers, but I also realize that doesn’t make sense. There are other purchases that I don’t consider cheating, though they could still be seen as pay to win. A lot of these fall into the category of “hurry the game up for money.” What I mean by that is a player can pay money to reduce the real world time of something that is otherwise achievable. The most common way this turns up is in games where you take an action (say building something) that will take some real world time until it is done. The player is then given the option to pay using real money (indirectly as another currency usually) to complete the task now. This might seem to give the player a huge advantage as they might not have to wait the sometimes days for the task to complete. I argue it isn’t inherently giving them an advantage if the only limiting factor is that task isn’t done. All that does is allow them to start using their new building sooner, speeding the game up. Personally, after playing Royal Revolt 2 a fair amount, I find there is satisfaction in seeing the timer finally tick down and give you what you want. Also I feel like I’ve beaten the game a bit by not giving in. Something very related can be temporary experience percentage gains. Again, the player is just getting something faster, but they still have to play to get that. Additionally, they are still following the game’s path to get there. Where these exact examples start to break down is when the game without benefits becomes worse to encourage these purchases. This isn’t actually unique to F2P as Jim Sterling talks about referencing Plants vs Zombies Garden Warfare. In Garden Warfare, people can now pay to unlock things that take an unpleasant amount of time to unlock. I would contrast this with LotRO where I routinely became over leveled for quests I was trying to do just by playing the game yet still do have XP bonuses people can purchase if they want to get to the end game even faster (I will also note that I do not support all of those items taking money to get, but I’m also not sure if there actually aren’t ways to get the stat/item altering items in the game). In Royal Revolt 2, this problem is a bit harder to see immediately. Without paying real money (or collecting a lot of that currency in the game), you have only two workers. This limits the number of buildings you can construct or upgrade at a time. When that limit is reached, you can upgrade your troops, items, or spells, but you cannot do anything more with any of your buildings. This limits your choices in the game to a degree I don’t think is appropriate. 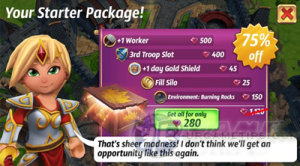 Given building towers is a central focus to your upgrades (and you will quickly have more towers, traps, and other buildings than troops and spells you care about), this means that a large amount of the game is not limited by my ability to acquire gold, but by the game saying I can only spend the gold in certain ways. And storing the gold makes it ripe to be stolen. Then there are the blatantly cheating purchases. To continue looking at Royal Revolt 2, there are tiers of badness in their purchases. For a little context, here is how the game is supposed to work (as in, it works if you do not pay for things): You have a castle. In your castle is your gold reserves. You need this gold to build and upgrade everything. You get gold by attacking other castles and stealing theirs. You prevent people from stealing yours by having guards and towers to protect your castle. 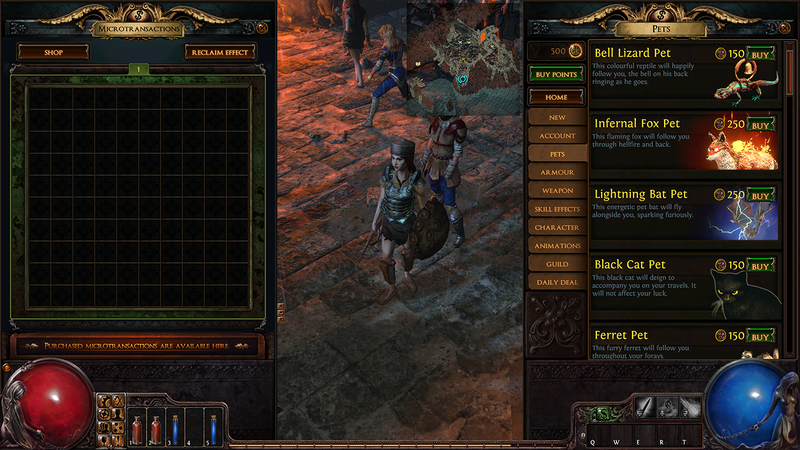 You also can get some gold from your taverns. Additionally, you attacks are limited by the amount of food you have stored in your silo and produced on your farms. You spend your gold on your upgrades which take increasing time as they become larger upgrades (and you are limited on building upgrades by your number of workers, mentioned above). To me, this game can be fun as it is. The limited food makes each attack important to succeed at. The gold possibly being stolen and limited workers means you should plan your resources so you only loot what you will be able to use (as there is no reason to attack a castle with little gold) and stockpile food and gold for future plans as needed. On the lowest level of game-breaking purchases (in a multiplayer game, I will add) is the ability to instantly raise your silo and gold storage to max level. These are more minor, but they circumvent the game’s actual progression to allow you to do things early without playing the intermediate steps. Worse is the fact that one could just pay money to fill these also, so gold and food can instantly be acquired, removing all of that strategy. Why achieve when you can buy? The game is more fun if you skip the bad parts! I feel even worse than that is the ability to essentially say the rules don’t apply to you. Normally, you get to bring 2 types of troops, 2 spells, and 1 scroll with you into battle. Adding an additional troop costs money and gives you more versatility, but since all troops use the same resource to produce, this doesn’t directly give you a pure advantage. The spell, on the other hand, does. Each spell recharges independently and only has a timer limiting its use. This means the third spell makes the choice of which spell easier and just makes you more powerful with no downside. The scrolls are another way to cheat during a battle. You use the real money currency to power up your troops in some way. That’s just how it works. There is a cooldown so you might want to consider when to do this, but it always costs real money. And you can always pay extra if you want two ways to pay real money to become better. Or you can always just spend real money to buy better gear instantly as some gear (generally the best gear) is only available with real money. The worst are what I see as what a child will do when they reject that they are losing at a game but insist they want to continue playing. Offensively, you don’t have to endure that pesky defeat. If you do die when attacking, you can just spend money to get back up and keep going. You do still have a time limit and have to defeat the defenses, but there is a huge difference between defenses needing to hold out against an unstoppable attacker and one who is mortal. Defensively, one can pay money to have a “gold shield” which will protect some or all (depending on how much you spend) of your money. People simply cannot steal this gold. In other words, you don’t need to bother building or upgrading defenses because you’re not playing that part of the game anymore. With all this combined, one could literally upgrade everything on their castle or character to maximum with just money, not allow people to attack them anyway, and be immortal while attacking with the best things (arguably to accomplish nothing at that point though other than being the #1 player because you spent the most money). While I find that practice despicable as it really is pay to win, I’ve seen this even in F2P single player games. Panthera Frontier is a F2P version of FTL. FTL is a space rogue-like where you need to get across a galaxy who is hostile towards you to warn your people of an impending attack. Oh and then fend off that attack (which ruined my strategy of being generally a pacifist…). The game is all procedurally generated and is made to be challenging. Between the randomness not falling in your favor and the fact that most enemies can legitimately pose a challenge and limited resources, the game is all about choices, hope, and luck. But then you just play again if it goes wrong. Panthera Frontier, at least for the little I played of it, has many of these things too. Except you don’t have to worry about luck. Instead of worrying about finding a shop with the best weapons while you have the money for them, you can just pay real money and get it right at the beginning. Or just repair that ship damage right now instead of worrying until you get to the next repair center. All for real money. I can accept that, for some reason, people might want to cheat at a rogue-like. Maybe they want to see the end. Maybe they just like feeling like they are playing the game, but aren’t interested in the challenge. It doesn’t matter to me, because it is their experience. But offering people to pay money to essentially not play your game to me is just wrong. Not as despicable as cheating against other players, but it doesn’t make sense. By giving the developers this money, the player is actively removing parts of the game which means the game is either poorly made but has some extremely redeeming quality (it really doesn’t), or the game is making itself worse by offering these purchases. I would say maybe it’s a campaign to raise money by people paying to make it stop, but you can always just close the game. Everyone is entitled to play a game they way they want when it doesn’t hurt anyone else’s experience. Cheating can make an experience better for a set of people. But paying to achieve that seems counterintuitive at best and like the worst application of patch-it-later (this time by having people pay for the patch). Allowing people to blatantly not play a game by the rules such that others are forced to either compete essentially with cheaters or pay to even be on a level playing field is terrible in the highest degree. This very much shows that the game is more about money than fun. Anything stressing fun would clearly never give the advantage and better experience to people who simply can out-spend others. More content or more customization, sure, but everyone still should have the same great base to play with. 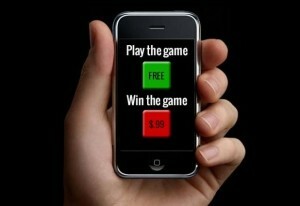 Unfortunately, there seem to be enough consumers very willing to pay to cheat making the strategy viable. But maybe there is enough self respect in the industry and from the remainder of consumers to really support and encourage the honest game developers who want to promote fun rather than just get rich. I know I am happier with myself for being that way. And the amount of fun in a game that was made to be fun will always have much more potential than those to generate money. And that’s what we really want.